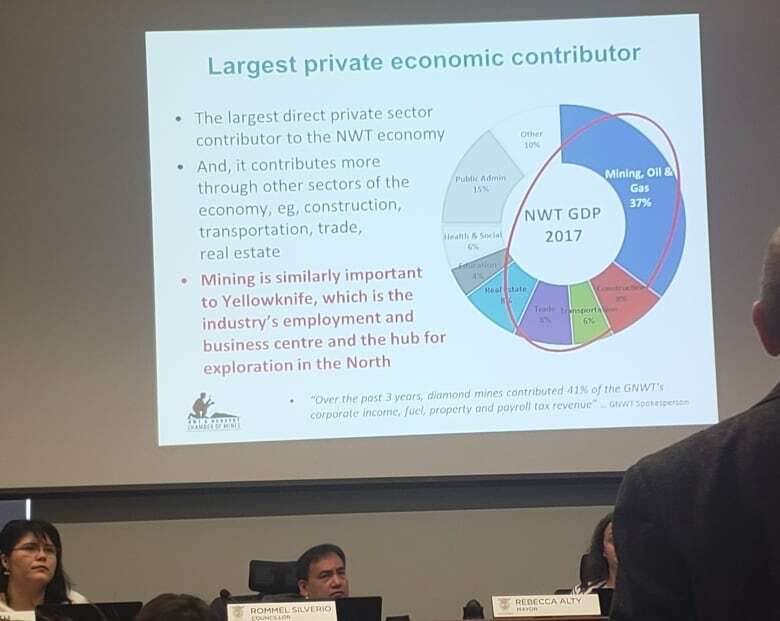 The City of Yellowknife was updated on the state of the territory's mining industry during a Governance and Priorities Committee meeting on Monday afternoon. 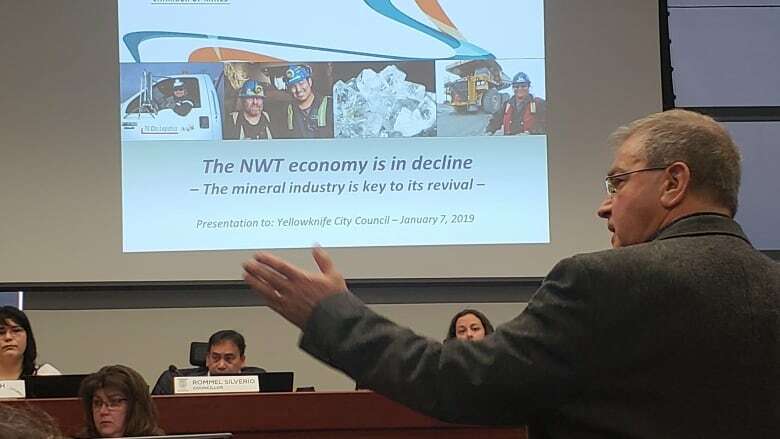 The City of Yellowknife was given a grim update on the state of the territory's mining industry during a Governance and Priorities Committee meeting on Monday afternoon. Tom Hoefer, executive director of the NWT & Nunavut Chamber of Mines, says the future looks bleak. "The minerals industry in the North is not healthy at this time and that will have effects on the city," said Hoefer. "This is the time when the industry is maturing… they [the city] can actually help sustain the industry." Specifically, that help would come in the form of lobbying the territorial government for lower power costs. Companies that once established mines in the Northwest Territories are pulling out of the area, said Hoefer. He cited high power costs and unsettled land claims as the main reasons for this. "Exploration is really the driver in finding new mines and we've slipped up on the exploration side, " he said. "We haven't been exploring these last 12 years like we should have been and it takes about 20 years to bring a new mine on stream." Gary Vivian is the president of the chamber. He echoed the industry's desperation to revive mining and exploration. "It's not a mining cycle, it's a mineral industries cycle, and without investment the mining industry will die." The City of Yellowknife had approached chamber reps to make a presentation to council on the future of the industry, so city officials could use that information to help develop an economic strategy. "We wanted to get an update on the industry and where certain projects are at," said Mayor Rebecca Alty. "With the number of residents that are involved in mining and have their homes located in Yellowknife ... and then there's the businesses that support mining and the taxes they pay."